The CT State Grange, and in particular the Public Relations Committee, offers a number of digital resources to Connecticut Granges and their members. • Did You Know... that past issues of the Connecticut Granger are available in digital form online? 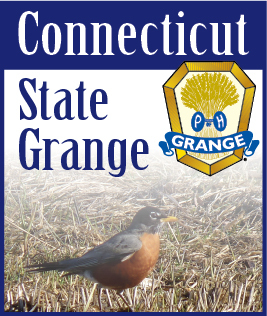 Issues are made available for download as PDF files on the CT Granger section of the CT State Grange Website (http://www.ctstategrange.org/grangerdownloads.asp) a couple of weeks after the current issue has been mailed. This service has been offered since 2008, and now includes older archival issues as well, dating back to the very first issue of the CT Granger!